Thanks Shantanu, wish you the same. @Sandeep: Good to see you here! 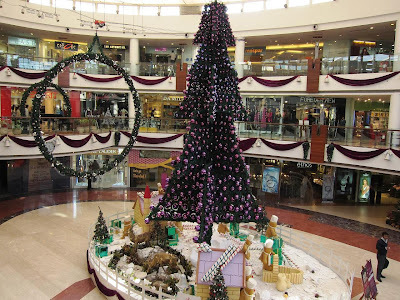 @Lakshmi: There are other choices in this mall too. So, a safe destination if you are in Saket. Wish you & your family a very Happy new year 2010. Hi Shantanu! Happy New Year!! Thankyou for the wishes!Wishing you & your family a happy,health and wealthly New year 2010. May you visit more and more places and keep blogging! Wishing you a delectable food filled, and a many blog post new year!! He is opening the same in Mumbai this week. I had gone there 10 days back but it wasn't opened. How does it priced ? yummy!!!!! 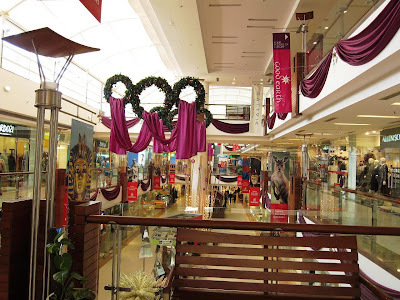 i ve been to ambience mall once or twice and wanted to try this place sometime... u used to write on burrp.com rite? Was Jiggs Kalra running the restaurant in New Oberoi at Mumbai ? @All: Thanks for visiting and leaving your comments here. @Mahesh, Harekrishnaji: Really? Didn't know about that. @Harekrishnaji: Not sure if he consulted for the Oberoi. He has designed menus for many hotels in the past. I have seen him organize food festivals at the Leela Palace in Bangalore (in Jamavar). A very good post. 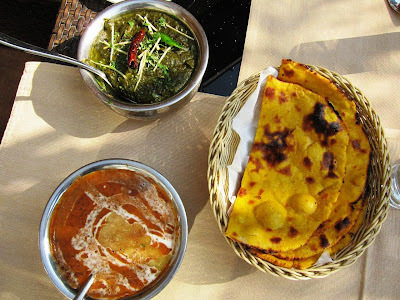 After Punjabi By Nature, Punjab Grill is the second best Punjabi restaurant in Delhi. 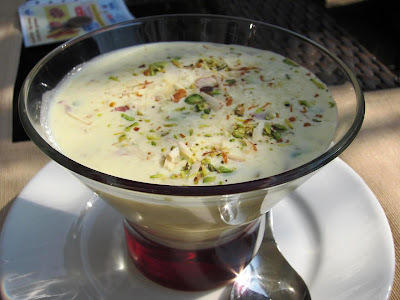 Shantanu-Da, have you tried Five Rivers in Calcutta serving delicate Punjabi and Kashmiri food (Jiggs Kalra is the food consultant of it).Its very good. 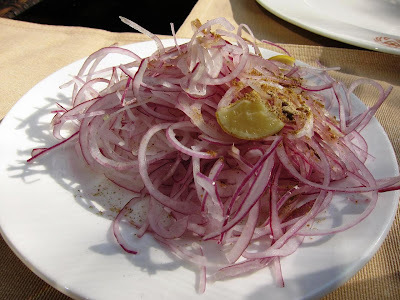 On your next visit to Calcutta, you must eat there- specially, Meat Beliram, Raan Hari Singh Nalwa, Aloobukhara Kofta and Seb Ka Halwa(dessert) in the Punjabi section. @Uttiya: Thank you for the insights, my friend. And I will keep Five Rivers in mind when I travel next to Kolkata. Yes. I was talking about Kandahar. yeah, Jiggs Kalra designed the menu at Kandahar. But sadly, The Oberoi group closed it down at their Delhi property, though not sure about the Bombay one. @Uttiya: Kandahar very much continues to operate at the ITC Grand Maratha in Mumbai. Thanks for sharing your experience. 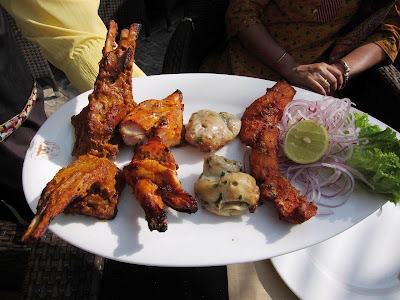 Even I have heard a lot about the Punjab Grill in Mumbai, although not been able to experience it yet. Plan on going for dinner there sometime this week; will surely share my experience with you once I have been there. 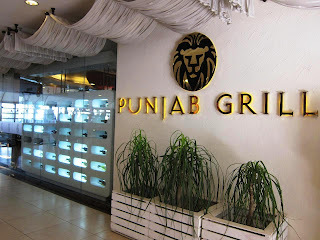 I have visited the Punjab Grill many times and as I am aware of Jiggs Kalra capabilites, I was very happy every time I viisted this palce. Mr Kalra had frist introduced me to Tandoori Salmon and he really knows how to get such things made. 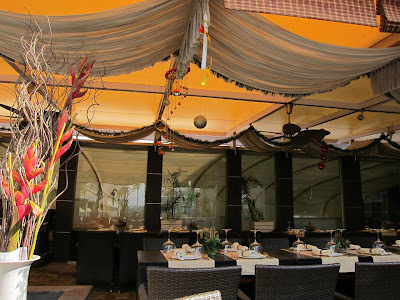 However as with all the restaurants except places like ITC restaurants, over a period of time the quality and servcie detoriates. I was in the Shopping mall on 29th July and I ordered some food to be packed. As I am very close to this palce in Navjiwan Vihar, we opened the packets of food within 15 min. The food was not only bad but was smelling bad as well.I immediately called the restaurant and the lady simply said sorry. Since the time we tried this latest ordered food ,I am unwell including my daughter. I , much against my wsihes would never go to this restaurant again. I have been there at least 15 times but not any more. @Vinod: Really? Thanks for sharing here. I guess the restaurant industry is replete with such stories. Only the best manage to deliver consistently. Kandahar at ITC Grand Maratha???? pardon me, ami toh Kandahar- Oberoi Trident-e dinner korechilam..
@Uttiya: There are two ITC hotels in Mumbai. You are confusing Maratha with Grand Central. Makki di roti made in a tandoor ?? I beg to differ.